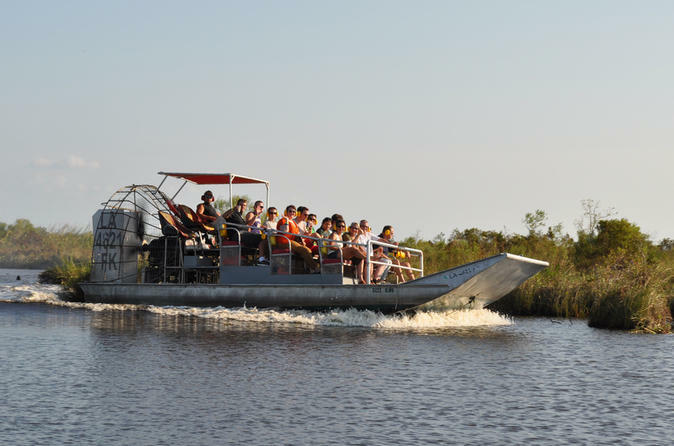 Take a thrilling airboat ride through the wetlands near New Orleans and plenty of alligators on this active, family-friendly tour. Travel over bayous and open waterways around the colorful, historic fishing village of Jean Lafitte, named after a 19th-century smuggler. Spy alligators in the wild -- as well as raccoons, native birds and large river rodents called nutria -- as your native guide provides commentary. Your 4-hour tour includes round-trip transport from New Orleans and 1.5 hours on the boat. This tour is an easy way to get out and experience the rich natural landscape around New Orleans. The airboat holds 15-27 passengers.